At ESUSD, we believe in taking a holistic approach to our students’ education. Last year, we worked to enhance ESUSD’s social emotional learning curriculum. 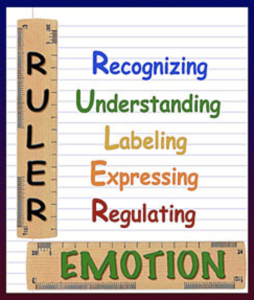 I am pleased to announce that ESUSD has adopted the evidence-based RULER approach for K-12 social emotional learning. Across the nation, school districts are recognizing the importance of social emotional learning and are looking for ways to help students develop or enhance their emotional intelligence. Research shows the need for social emotional learning is clear. Students, and adults, live in an increasingly stressful society. ESUSD student surveys and other measured data reveal that 81% of ESHS report feeling stress on a daily basis. Sixty percent of students said they are unaware of resources or strategies to help with stress. There is an increase in chronic absenteeism resulting from “anxiety,” most notably at the secondary levels. Training for ESUSD elementary school educators is in progress and is targeted to be completed by June 2019, with the RULER approach introduced to elementary students in August 2019. Middle school and high school educators will be trained by January 2020, and the RULER approach will be rolled out to ESMS and ESHS students during the 2020 school year. Currently four administrators, two counselors and six teachers have been trained in the RULER approach. Future parent and family training and information nights on the RULER approach are also being planned. ESUSD believes in the importance of providing approaches and resources to help bring emotional intelligence to our students, educators, and parents. It is our hope that the ESUSD community will embrace this lifestyle change. 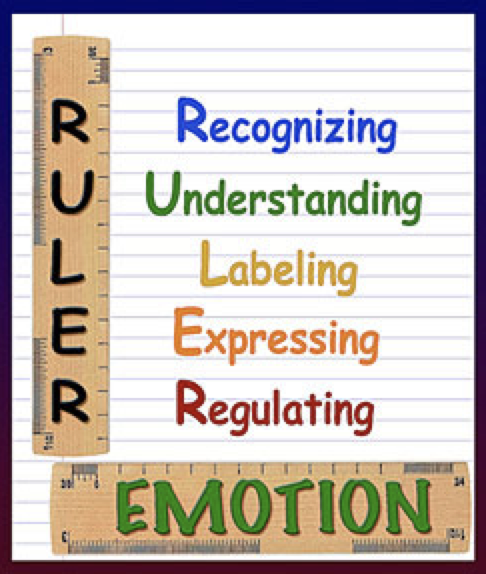 The RULER approach has proven results that are fully aligned with the ESUSD Graduate Profile, by developing graduates who are responsible, self-directed individuals who demonstrate expertise in taking initiative and personal accountability; strong interpersonal skills; emotional intelligence; ethics; and a commitment to personal well-being. We are all a part of this journey, and we also hope to experience personal growth along the way.